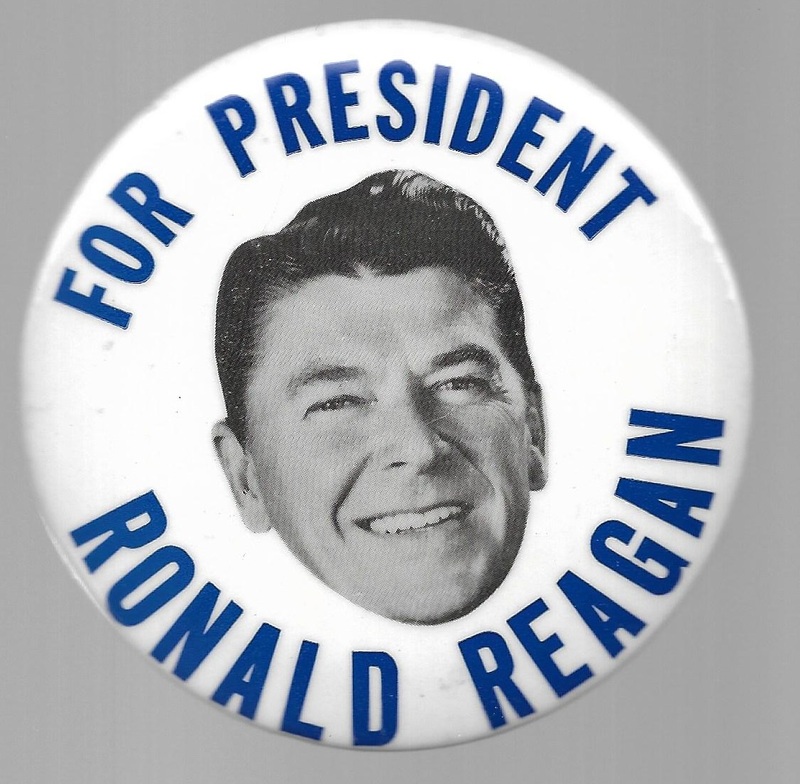 A big, bold Ronald Reagan for president campaign pin. This 3 1/2 inch celluloid is from 1968 with a super "floating head" design. This is the blue-letter version of this pin.